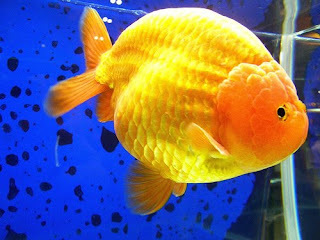 A variety of charming golden fish for our vision, and not ending they dazzle and delight our eyes. 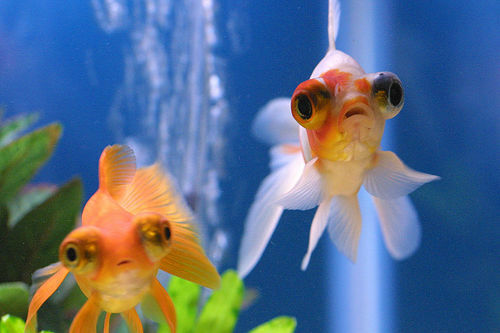 Unique species of goldfish that comes from China these have eyes pointing upwards and 2 large bags filled with fluid, these fish have no fin on his back, goldfish can grow 6 -8 inches. 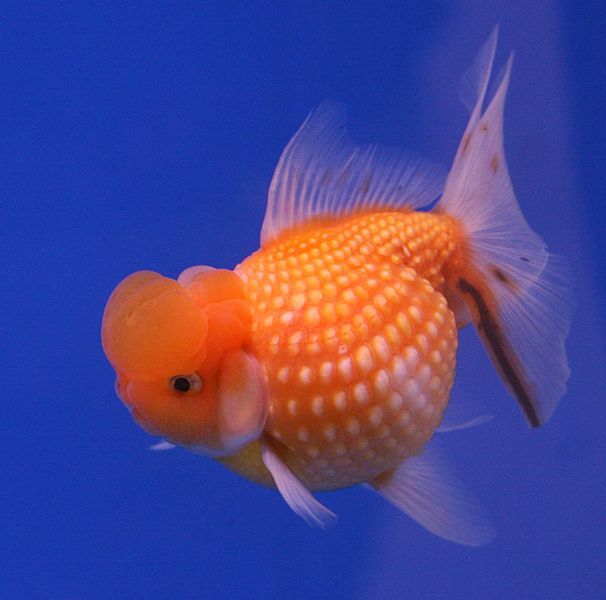 Goldfish with an unusual appearance is referred to as the "king of gold fish" by the Japanese. 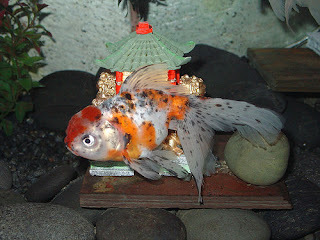 Ranchu is the result of cross breeding experiments that differ from Lionhead China. 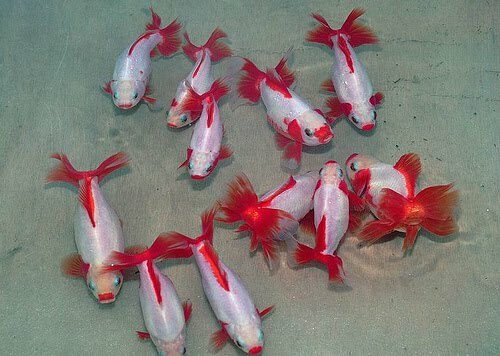 These fish have no fin on, and have many colors such as orange, red, white, red-and-white, blue, black, black-and-white, black-and-red, pale fish with yellow bodies and red heads are very rare and rare. tail which has the form X. long tail has a distinctive bow tie, or torpedo-shaped cigar. White body with the lips, red fins and gills. can grow to 9 inches. Another name is the tail of the Peacock and Rokuri. This species has large eyes and unique, this variation is red, red and white, calico, black and white, brown, blue, lavender, chocolate-and-blue and black color. 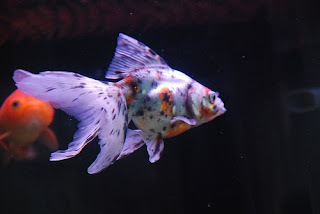 They may also sometimes have a metallic scales. Although his eyes big, bad eyesight and better not mixed a aquarium with other types of agile and placed in akurium without pointy objects. 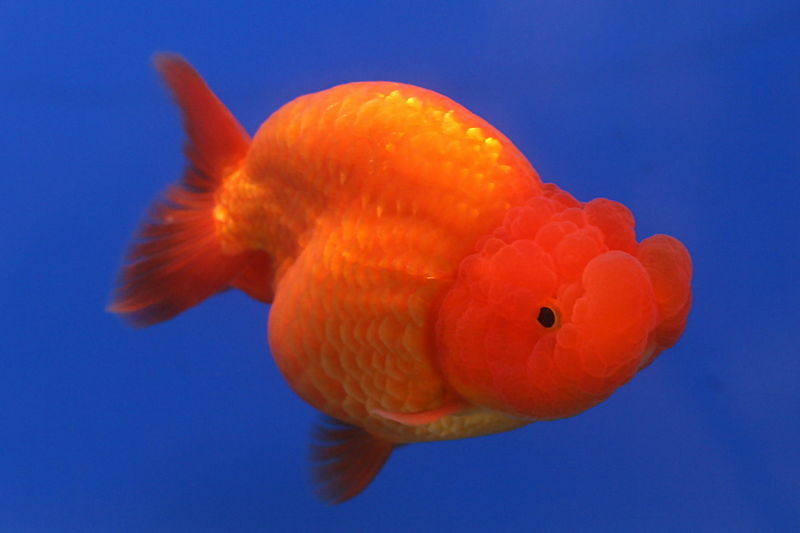 Ornamental, unique goldfish from China and Japan, characterized by a hood like raspberries dikepalanya. 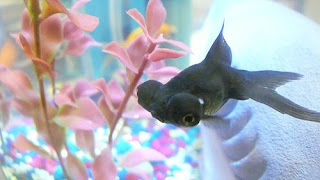 One of the odd goldfish from China and Korea.Mata goldfish is like a telescope eye goldfish, but pointing upwards The body is shaped like a torpedo fish, and no fins on. 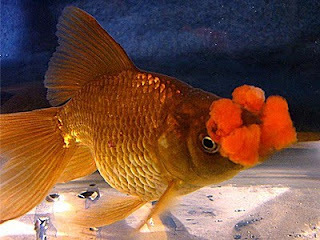 Unique goldfish is a goldfish that has no fins on the Thai and the result of cross breeding between lionheads and ranchus. Has a great body, wide and curved to the rear and a large head. 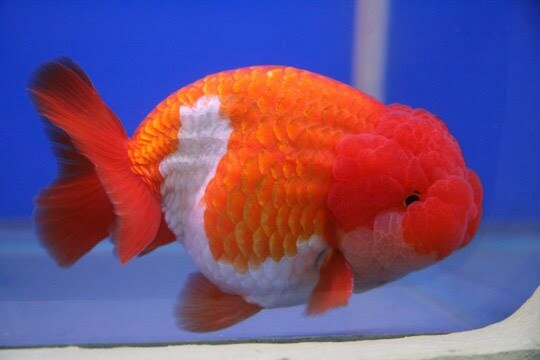 Brightly colored goldfish and withdraw from Japan is a fin that amount 2 times the body length, snout is pointed and his back bent Ryukin have colors like maroon, red and white, white, metallic and calico color. 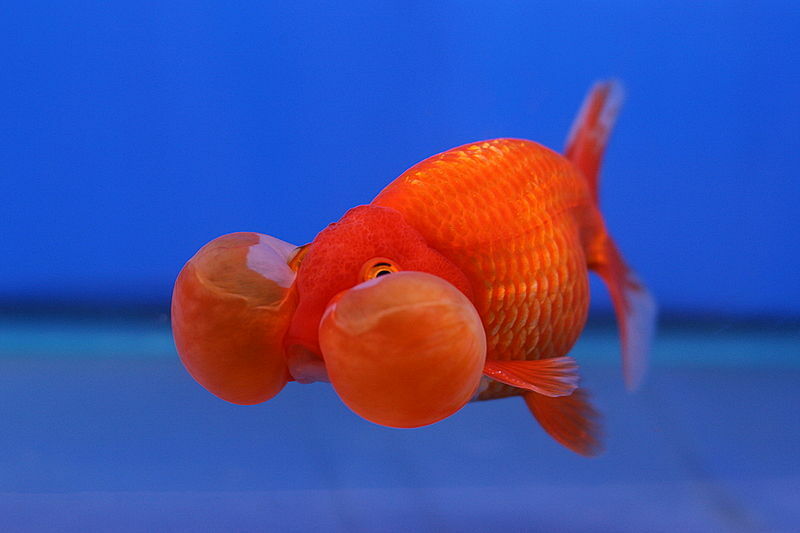 A good aquarium maintenance in these fish can reach up to 8 inches or 21 cm. Goldfish named Calico or Nacreous has a mix of metallic and transparent color scales that give the impression of pearls. Calico can grow to 12 inchi.Coraknya consist of patches of red, yellow, gray and black with dark spots and blue. * Goldfish chef produces pigment when exposed to light. 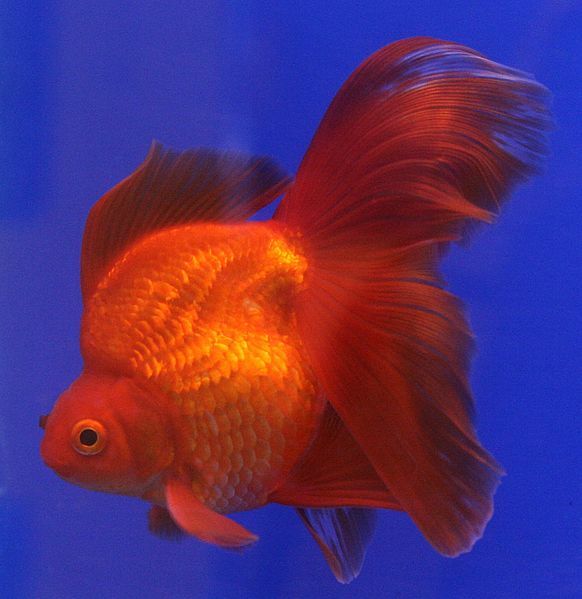 If the fish Mas placed in the dark, he would seemingly be brighter in the morning, and when repeatedly placed in a dark place, then the goldfish will lose its color. * In Rome prohibited from maintaining a goldfish in a jar, because according to them very cruelly confining fish in a place like that. 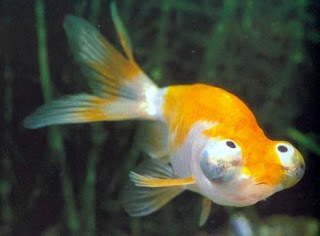 I love fishes. 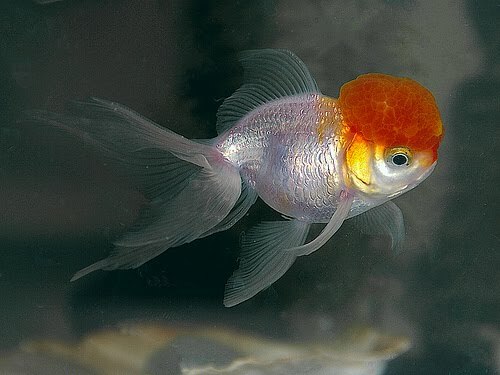 I have one aquarium full of different kinds of gold fishes. I love keeping them as a pet since I was a kid.